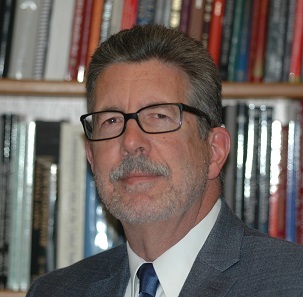 October 25, 2018 – The Numismatic Literary Guild (NLG) Board of Directors has appointed Ron Guth of San Diego, California to be the NLG Executive Director. Guth assumed office on September 1, 2018. He succeeded Donn Pearlman of Las Vegas, Nevada who agreed to serve in that role for a year following the August 2017 passing of long-time NLG Executive Director Ed Reiter. Ron Guth, the new NLG Executive Director. Under Pearlman’s interim tenure as NLG Acting Executive Director extensive work began to streamline and update the annual awards competition categories “to bring them into the 21st century,” Pearlman explained. “It has been an honor to serve the NLG during the past year’s transition period. The NLG Board members and I are grateful that Ron has accepted this important role in helping to promote numismatic education,” said Pearlman. More information about the nonprofit organization visit the NLG website. We found that you can reach Ron Guth only via his LinkedIn profile. Unfortunately, the NLG website has not been updated concerning NLG officials since the inauguration of Ron Guth on September 1, 2018.